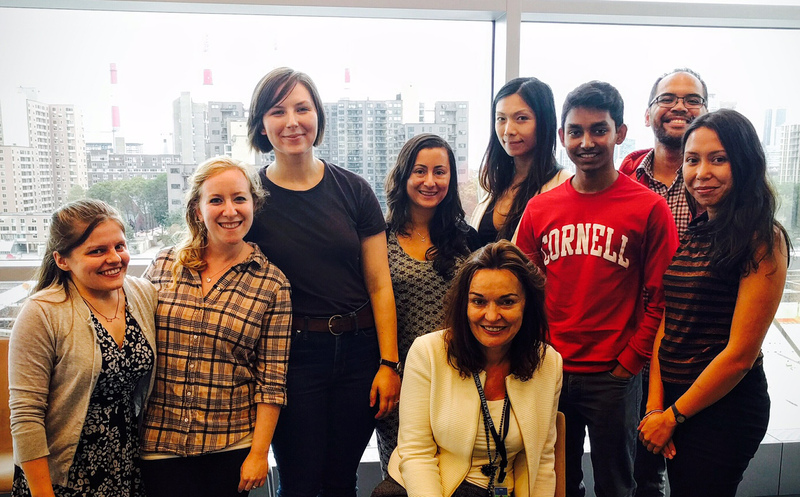 During her month in New York, Carol gave six lectures, attended several research group meetings, and had far-reaching discussions on the work-life balance and establishing an independent academic career with junior faculty. These lectures, meetings, barbecues and dinners at the Rockefeller University and Weil Cornell Medicine, as well as brief side trips to Indiana University and Harvard Medical School, opened doors to new collaborations which focus on the application of mass spectrometry to understand lipid binding, membrane protein organisation and the influence of the membrane on molecular recognition processes. In addition, her VVP sabbatical provided an opportunity for Carol to meet with scientists in industry and establish collaborations on Ion channels and enzymes associated with cancer. During the last week of her Vallee Visiting Professorship she was invited to the offices of the journal Nature for lunch and a round table discussion of their publishing protocols and decisions. Carol found this session particular useful and used the meeting to highlight the plight of young colleagues attempting to publish in high impact journals at the start of their careers while they are relatively unknown.